The Comp 7SLX refined version of the Comp Air 6 sports a wider cabin (46½"), 100% mass balanced controls, larger tail surfaces, aerodynamically efficient "raked" windshield, flush-fit doors for quieter cabin and drag reduction, and flush-mounted landing gear. Recommended enginess range from 250 to 385 hp. The airframe can be built to accommodate engines as large as 650 hp (i.e. 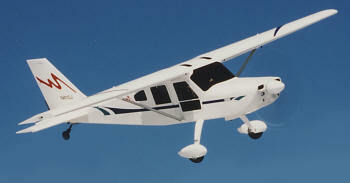 Walter turbo-prop), with Vne as high as 257 mph indicated, and useful load up to 1670 lbs.